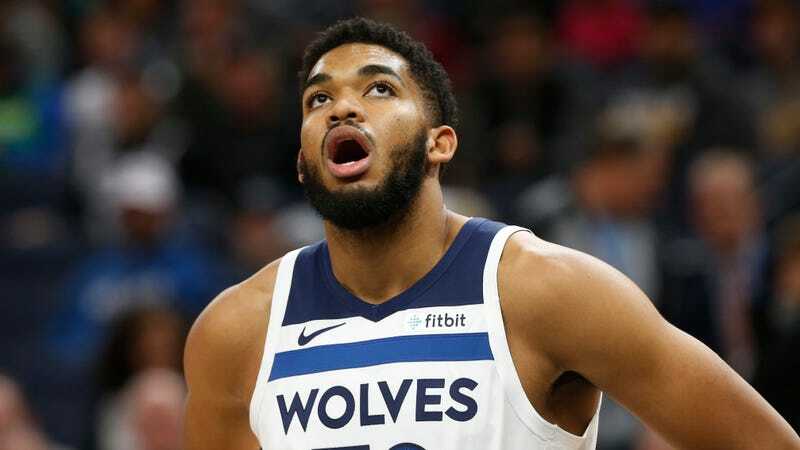 Now seems like a time to pop in and see what’s going on with the T-Wolves, and specifically Karl-Anthony Towns, who spent the last few weeks of the offseason getting shat on by teammate and supreme cheesebutt Jimmy Butler. Ah, so it’s like that. Towns is currently shooting 42 percent from the field and scoring just 16 points per game. He finished with 14 points last night in a 112-105 loss to the Raptors. Minnesota is 2-3 and everything seems to be going great with their young star.